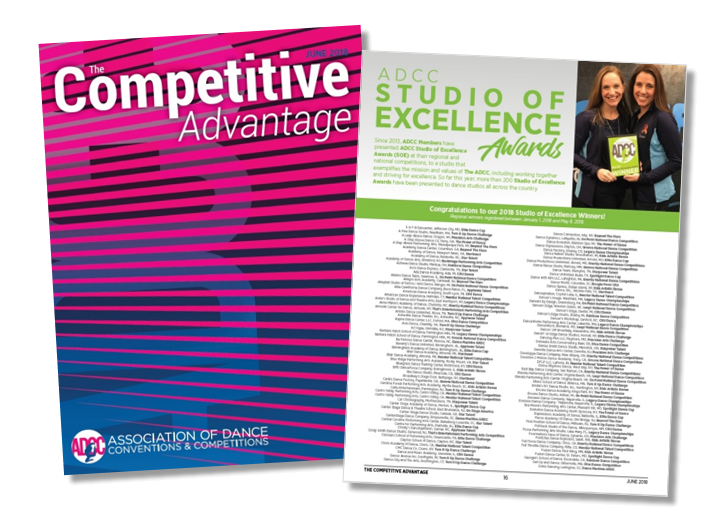 The ADCC has a new magazine for the dance competition industry, The Competitive Advantage. We’re publishing three issues each year, in August, September and October, with tour listings from ADCC Members to help dance studios plan their competition seasons. 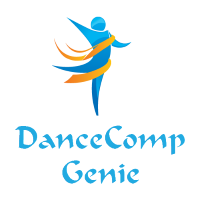 Each issue is bursting with ADCC and dance industry news, including greetings from our Board and Staff, Scholarship and Studio of Excellence award winners, and full upcoming season calendars from ADCC Member competitions. Click on the cover to view the latest issue of The Competitive Advantage online! Keep on top of the competition season — get your copy of the next issue of The Competitive Advantage. Interested in advertising in The Competitive Advantage? AD RATES - RESERVE SPACE NOW!